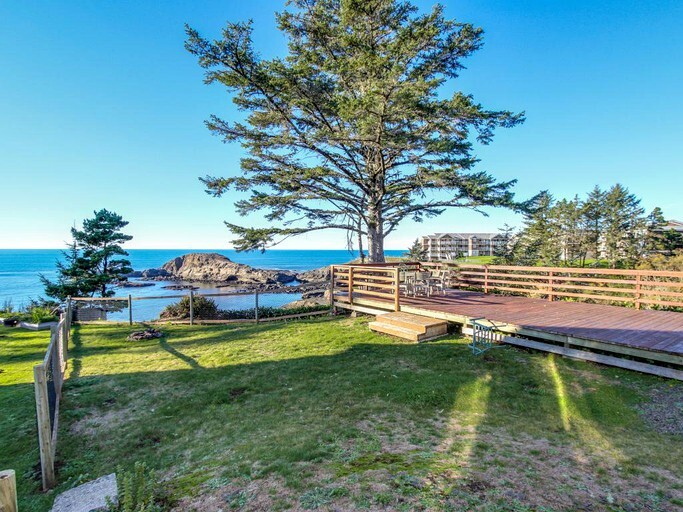 When glampers arrive at this beautiful, oceanfront cottage, they’ll be blown away by the stunning scenery on Pirate Cove in Depoe Bay, Oregon. 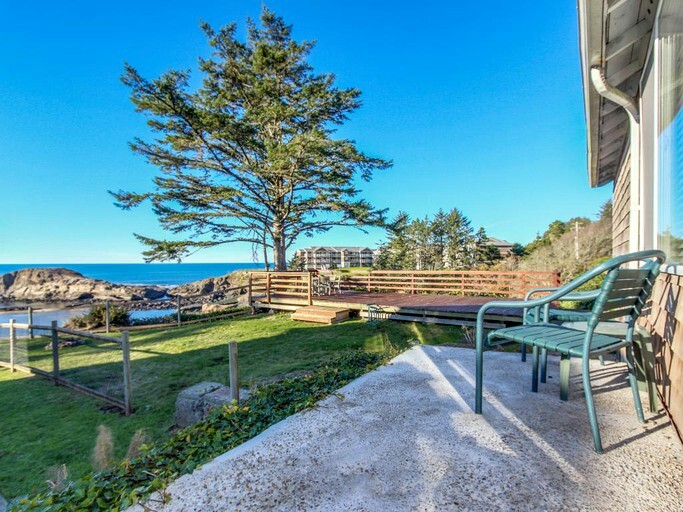 With a yard and decking area that boast panoramic views of the rugged Oregon coastline, and the dazzling blue ocean, guests will be delighted with their decision to choose this gorgeous rental in Depoe Bay. 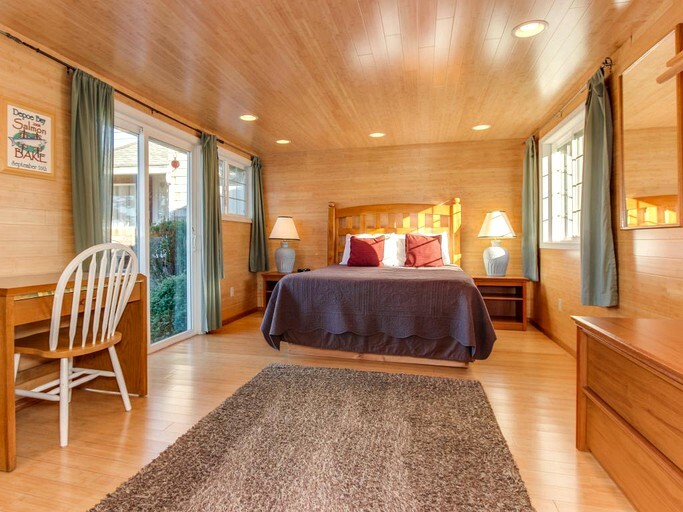 Glampers will have no problem at all getting a fantastic, restful night’s sleep. 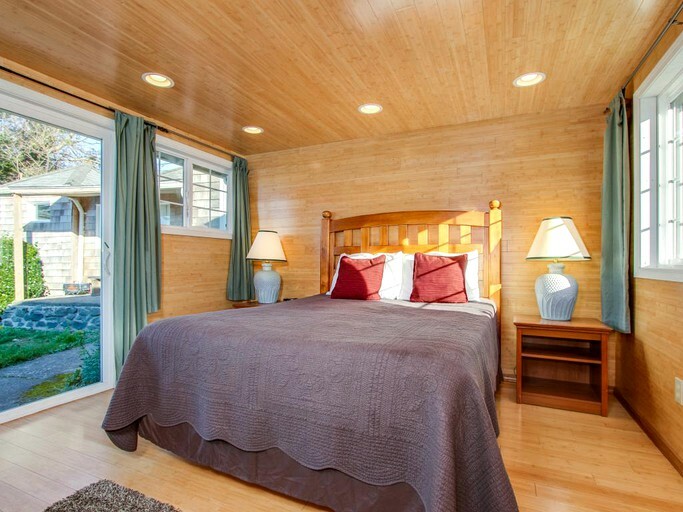 In the spacious bedroom, there is a large, queen-size bed. 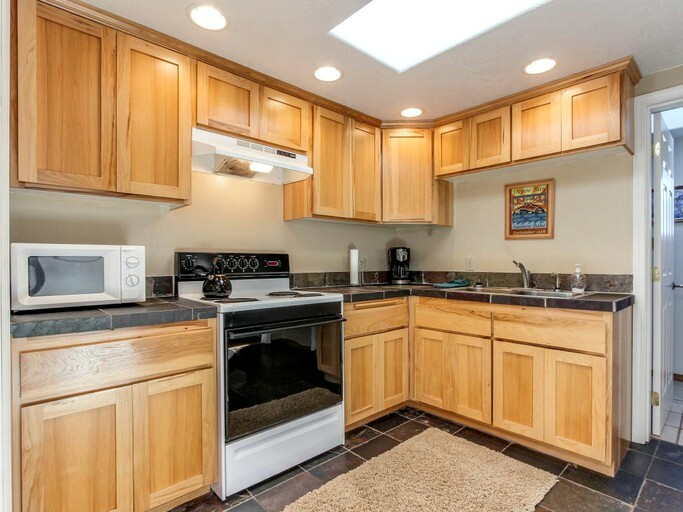 The room has windows on two sides and sliding patio doors, which open onto a lush, colorful yard. There’s also a soft, comfy double sofa bed in the lounge, ensuring that there’s plenty of space for up to four guests. 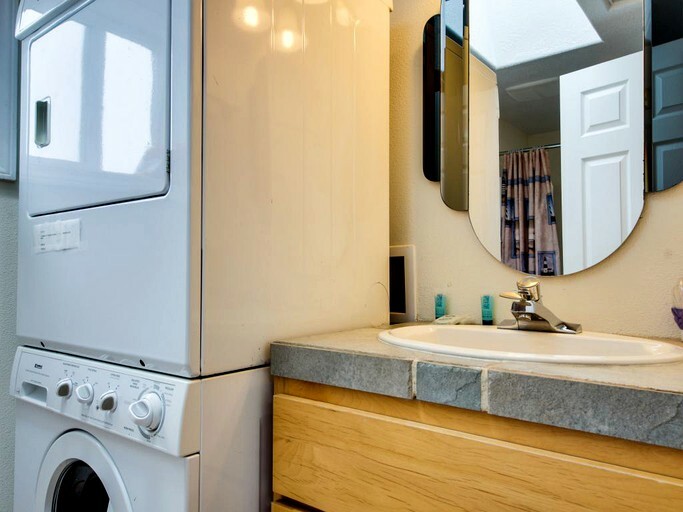 A bright and stylish bathroom provides the perfect place for freshening up, ready for a day of exploring this stunning part of the world. 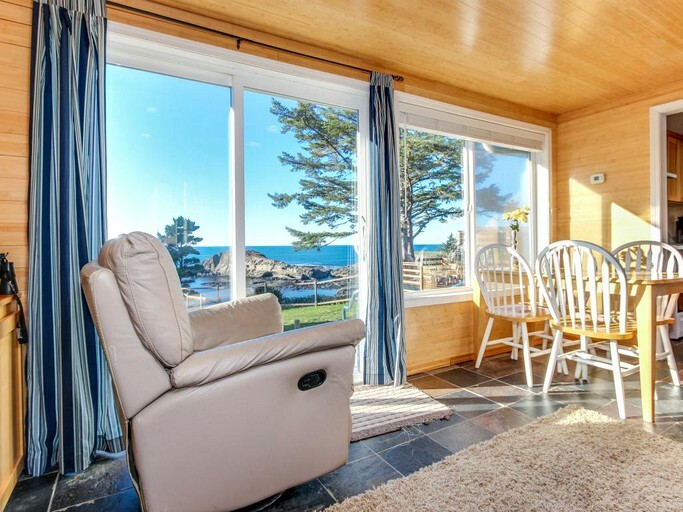 The cottage has large windows that let in lots of natural light and ensure that guests don’t miss a thing that’s happening outdoors. 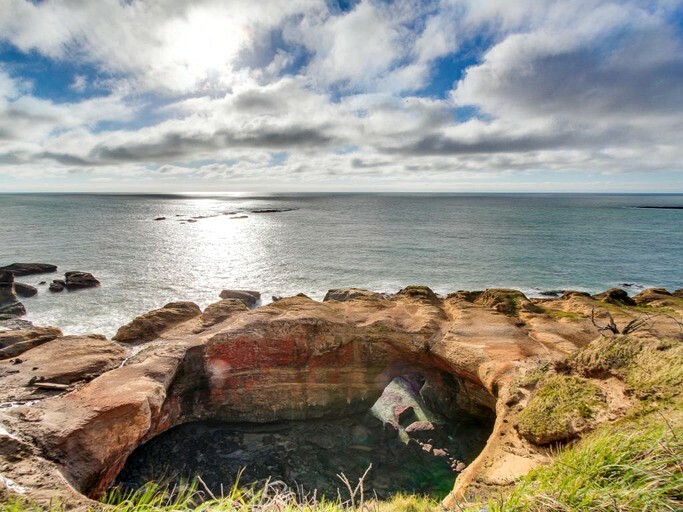 It’s not unusual to spot sea lions sunning themselves on the rocks, or eagles soaring overhead. 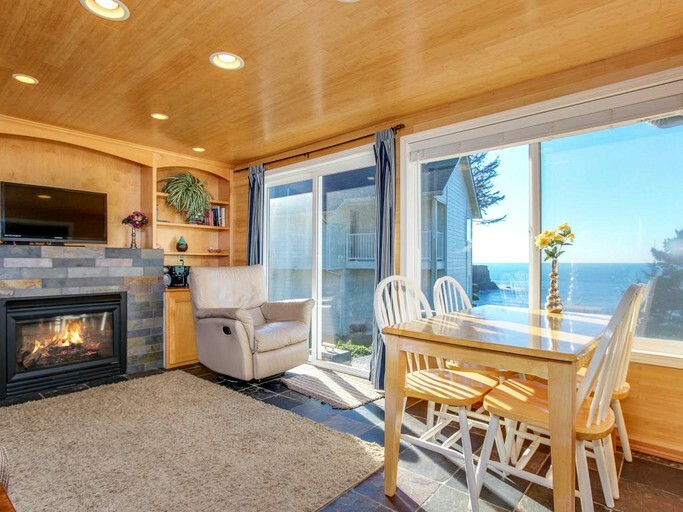 The living area is tranquil and soothing, with wood-paneled walls and ceilings, and a brand new slate floor. 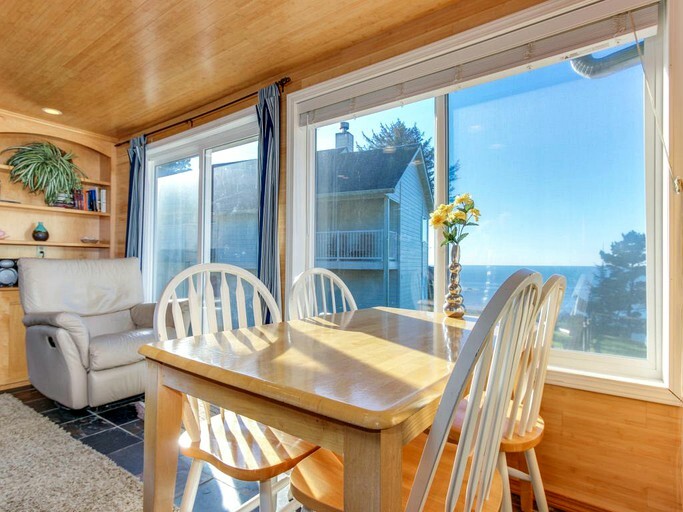 Beige, cream, and blue tones in the decor mean that the room fits perfectly with the view outside the window. 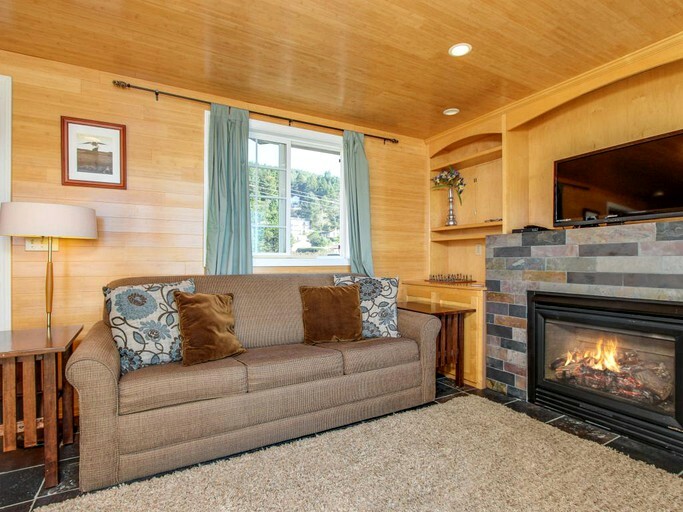 An attractive brick-effect gas fireplace provides an inviting focal point, and a warm, plush sofa, as well as a snug leather armchair, make this the ideal spot to curl up, turn on the TV, and watch a DVD. 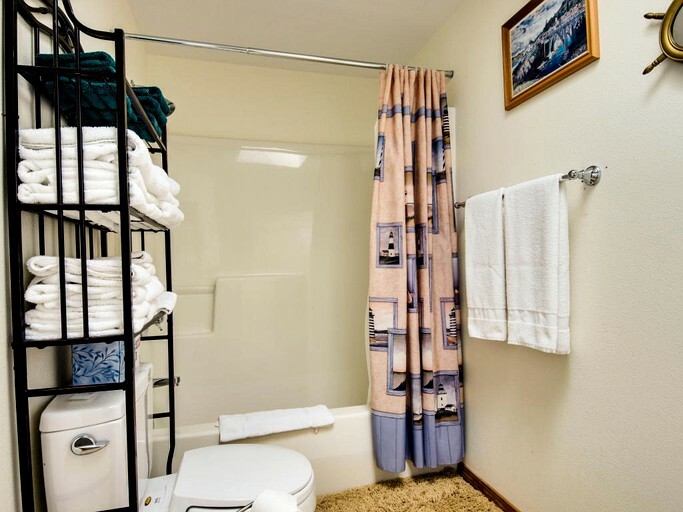 Guests at this lovely cottage will enjoy many great facilities. 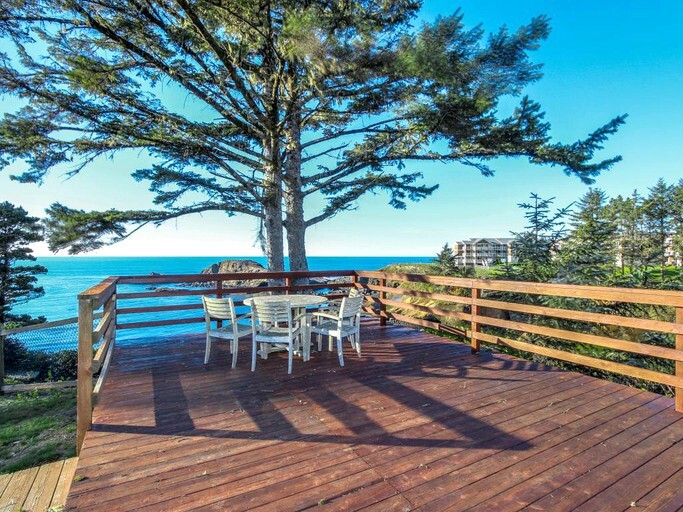 Outdoors, there is a grassy yard, with a decking area, patio furniture, and ocean views. 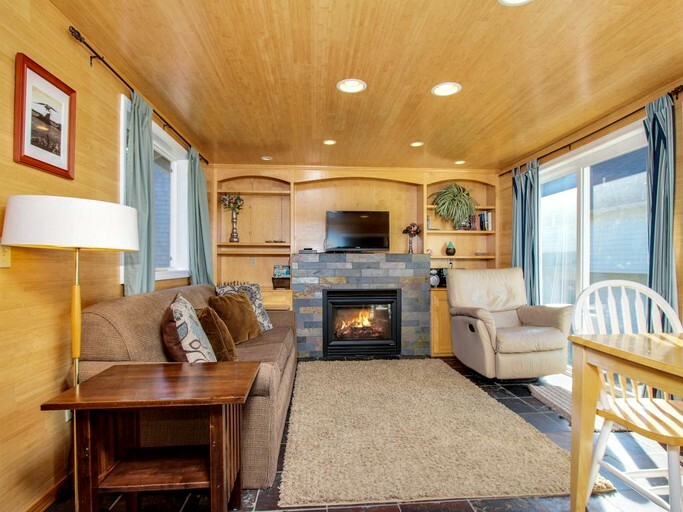 Inside, there’s a flat-screen TV, with cable channels and a DVD player for guests’ entertainment. 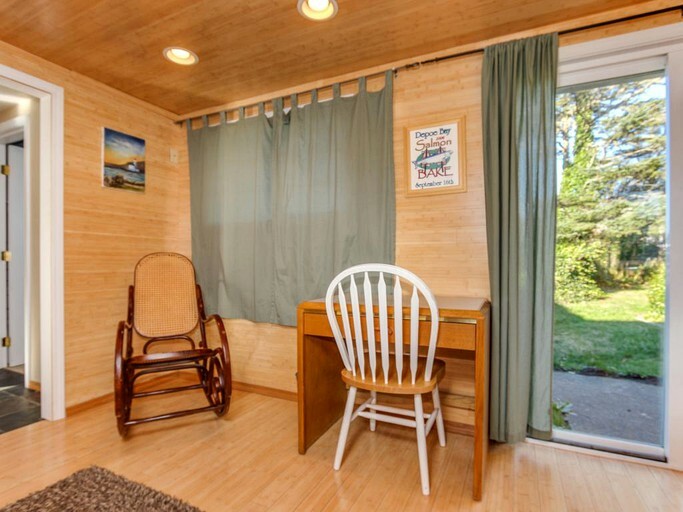 The cottage also has internet access. 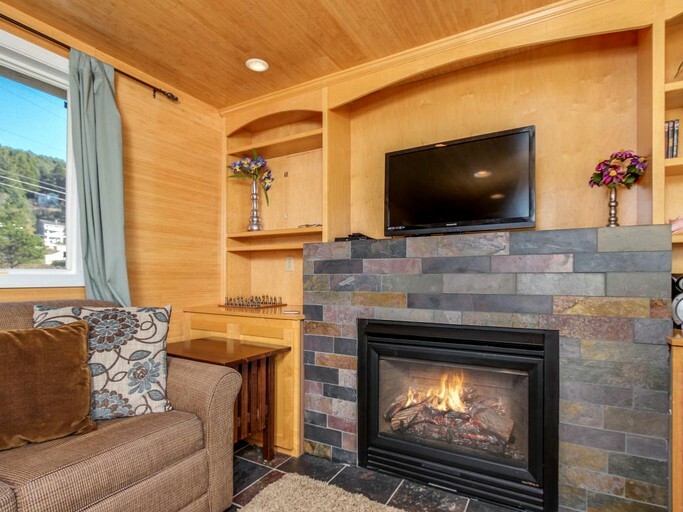 In the lounge, glampers will benefit from a gas fireplace, for use in colder weather. 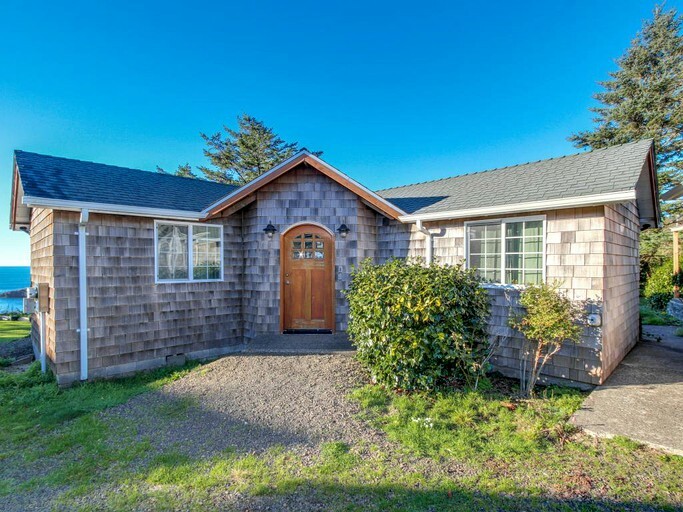 This newly-renovated property boasts a prime location right next to the ocean in Depoe Bay, Oregon. 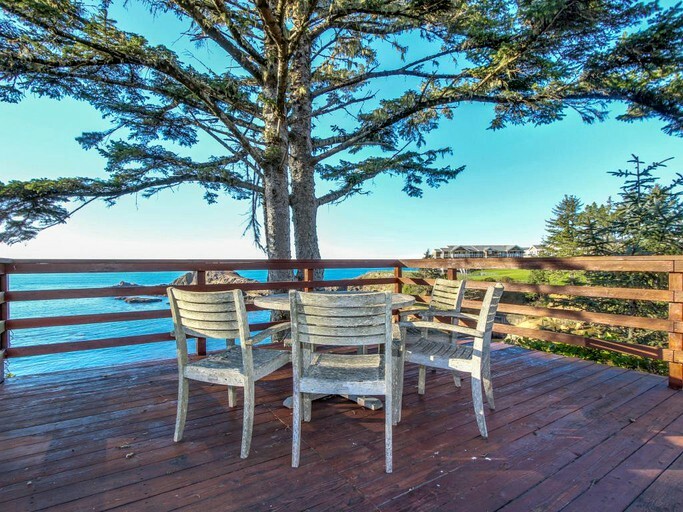 The views from the cottage are truly stunning, and display the rugged Oregon coastline in all its spectacular glory, along with the resident eagles and sea lions. 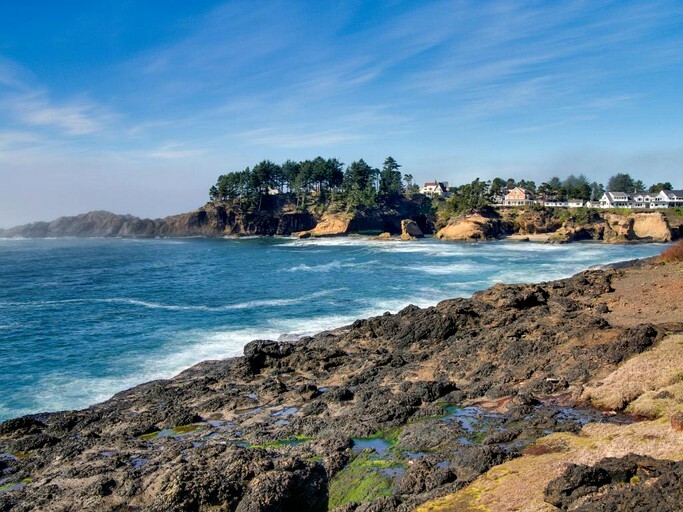 It’s less than a mile to the center of Depoe Bay, a colorful fishing town, and the “Whale Watching Capital of the Oregon Coast." Here, glampers can enjoy many great shops and restaurants, and hop on a boat for a chartered trip on the ocean. 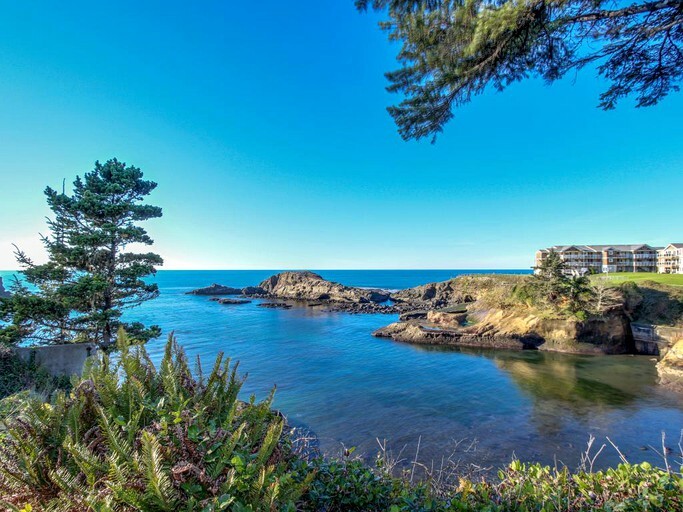 In Depoe Bay and the surrounding area, there is a host of fantastic activities for visitors to enjoy. 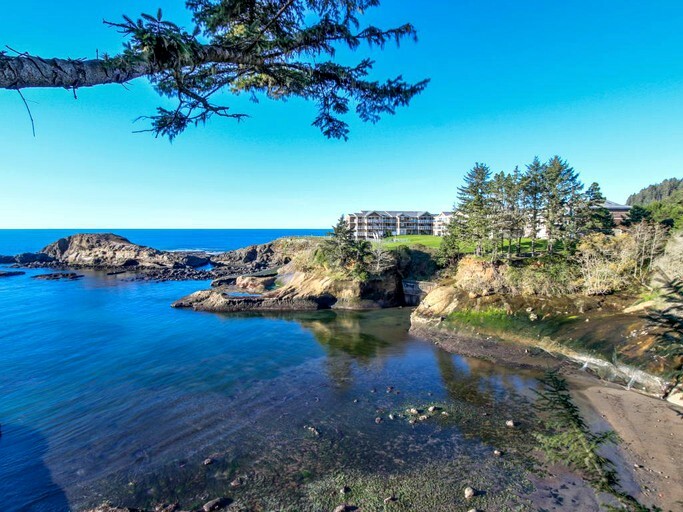 Many visitors come here to enjoy the great golf courses. 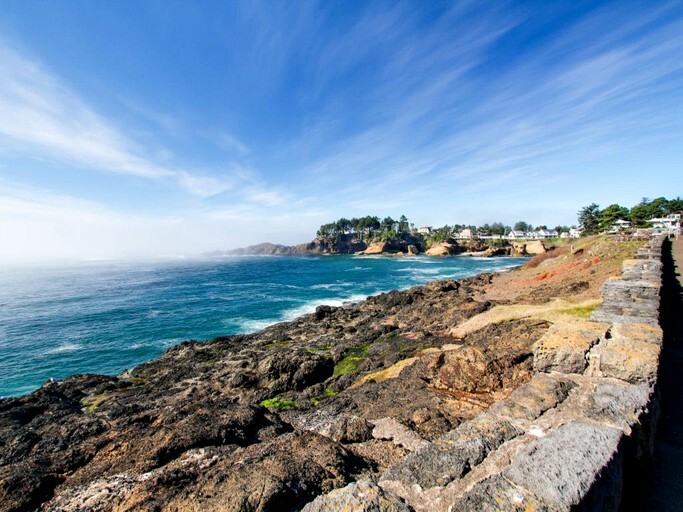 The area’s excellent weather and scenic beauty is the ideal combination for those who want to play a round of golf. 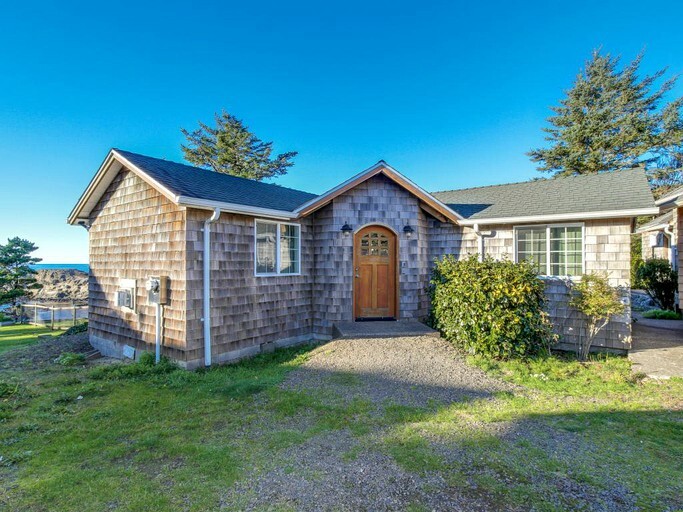 The nearest course is Salishan, which is only seven minutes away. 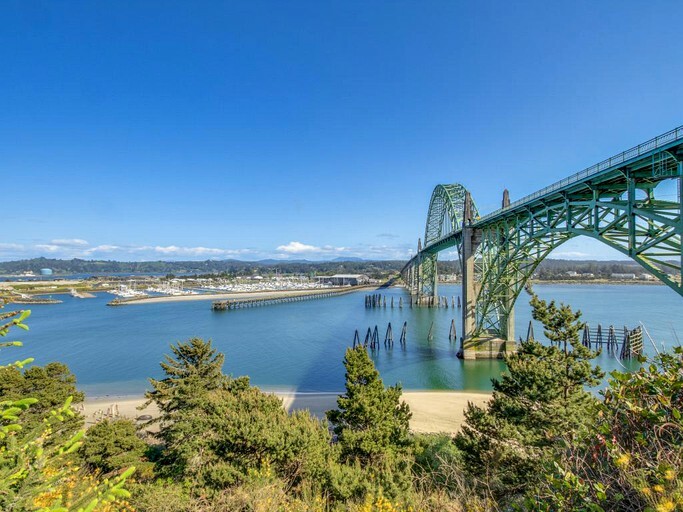 Nature lovers will be in their element in this beautiful part of Oregon. 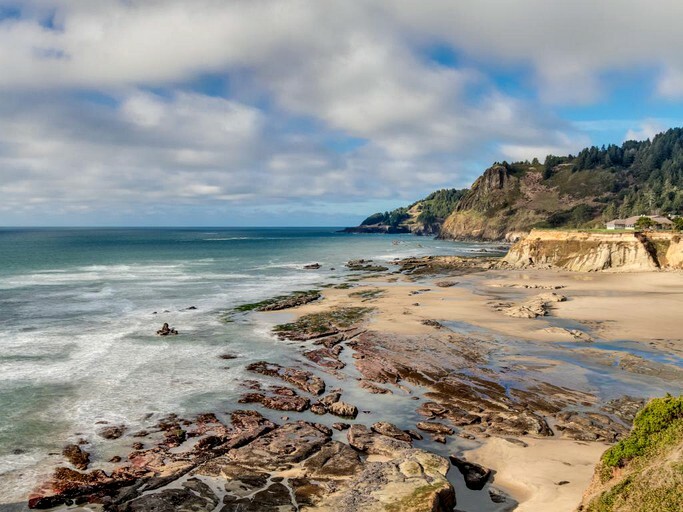 They’ll have the chance to go on a whale watching tour and can spot an array of wildlife along the coast, including sea lions and a huge variety of birdlife. 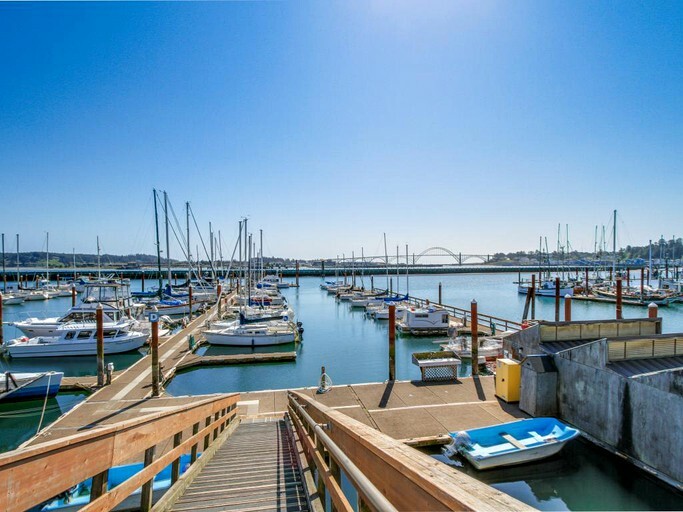 Fishing enthusiasts will have a great time here, as crabbing, clamming, and fishing are the local pastimes, so there are plenty of boat charters and places to rent equipment.